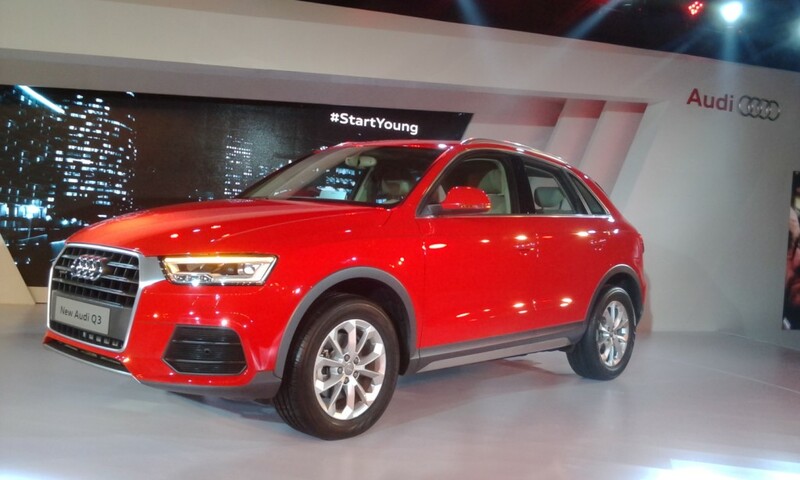 Audi India today rolled out the new avatar of its one of the most popular SUV Audi Q3. 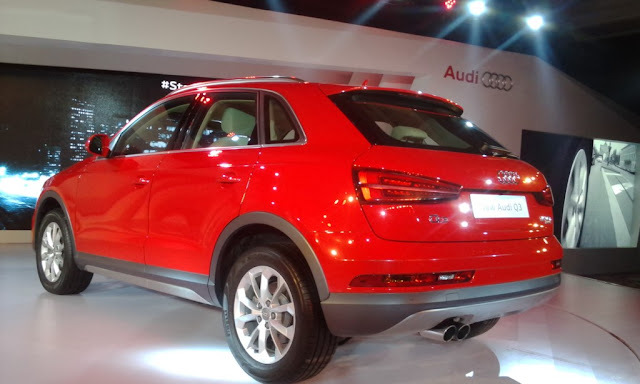 Since the launch of Audi Q3 in 2012, it has been most successful entry level SUV of Audi in India. 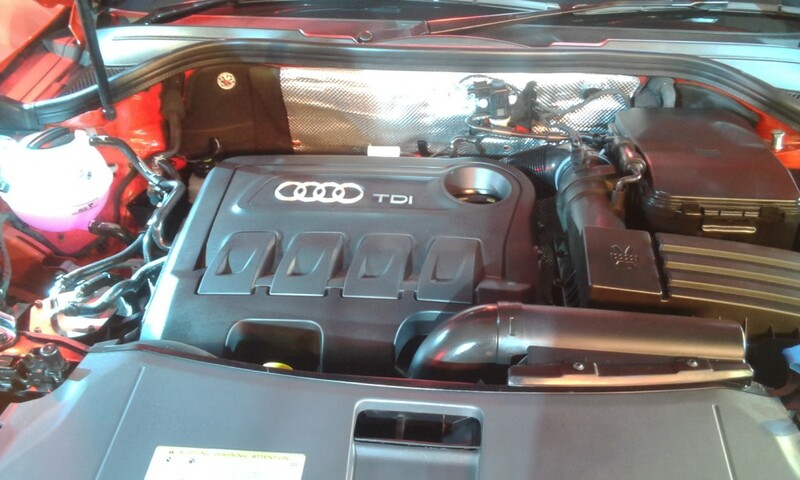 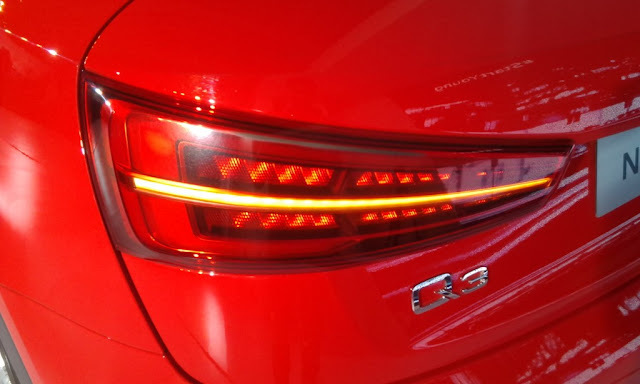 Although the the new Audi runs on same engine and transmission as its elder sibling but it comes with refreshed design and number of technical innovations. The new Audi Q3 will cost only INR 28.99 lakh. 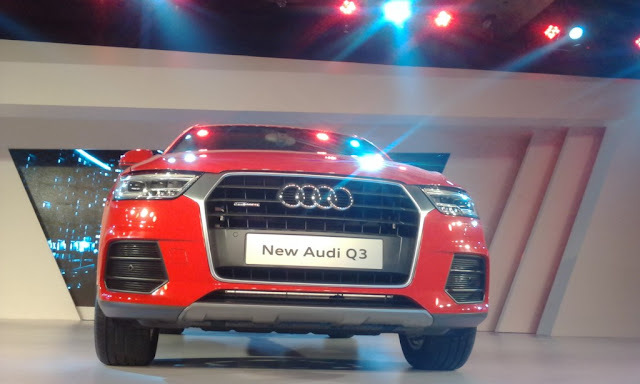 In terms of styling, the Q3 now gets the family front end with a larger and more prominent chrome grille, slimmer headlamps and a new front bumper with prominent air vents. The back of the SUV gets tweaked tail-lamps. 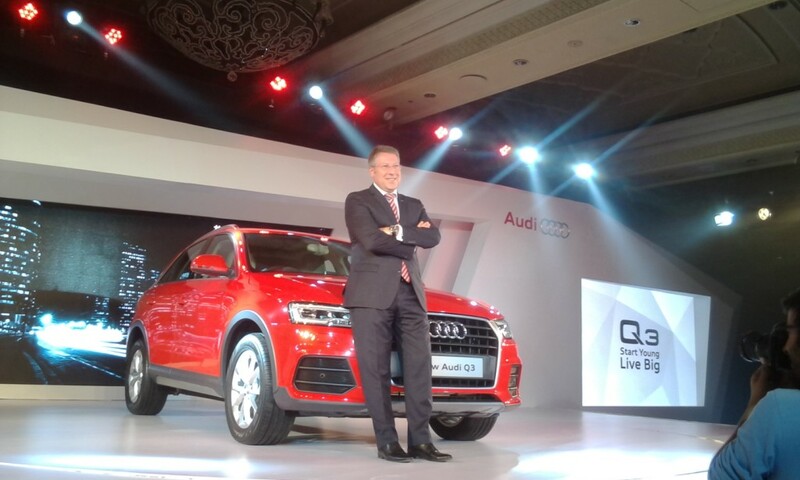 The facelift Q3 rides on 16-inch wheels in the Q3 S, while other variants get 17-inch wheels. 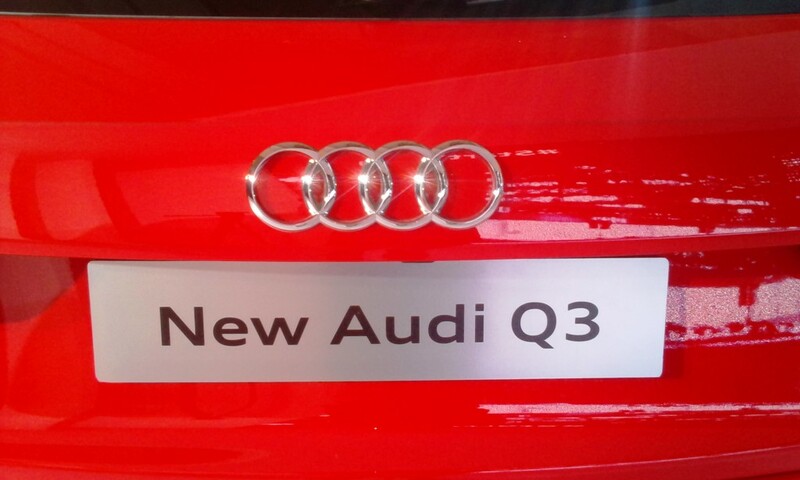 Inside, the facelift Q3 offers a choice of all-black or black and beige dual-tone interior with LED interior lightening package and power adjustable front seats. The wood trim on the older model has been replaced by a textured metallic finish. The new Audi comes with the MMI Navigation System and Parking Plus with rear view camera. 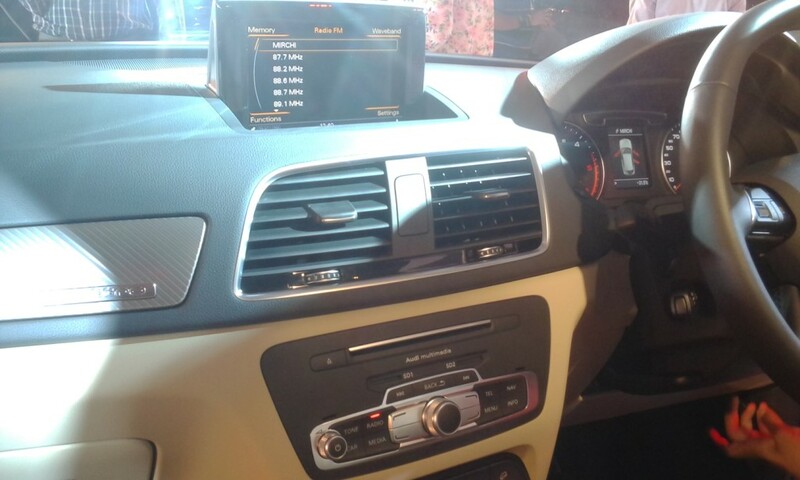 Apart from driving pleasure the driver can enjoy music with Audi sound system which includes Audio Music Interface, a 20 GB jukebox, two SDHC slots, Bluetooth connectivity and streaming. The cargo compartment of new Audi Q3 has capacity of 460 liters and by folding down the split rear seatbacks this can be increased to 13650 liters. 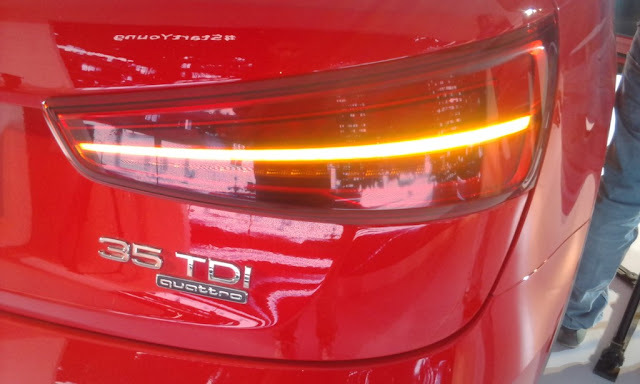 Talking about the features, the new Audi comes with auto drive select which enables the driver to adjust key engine, steering and transmission modules, to suit his or her personal driving experience . 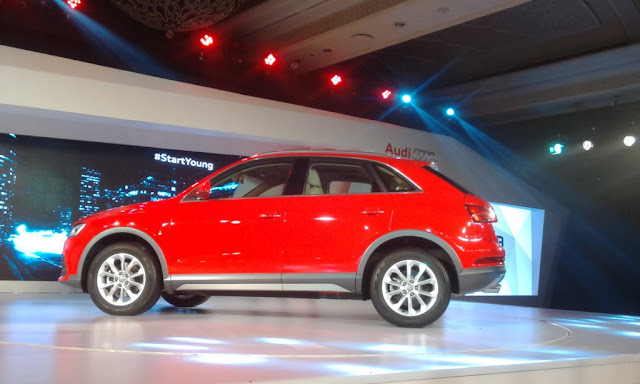 The SUV also features steering mounted paddle sift to allow the driver to enjoy the sporty nature of Audi Drive Select and the quick seven-speed S tronic transmission. It has also included Hill Descent Control function to improve the new Audi Q3’s off-roading prowess. 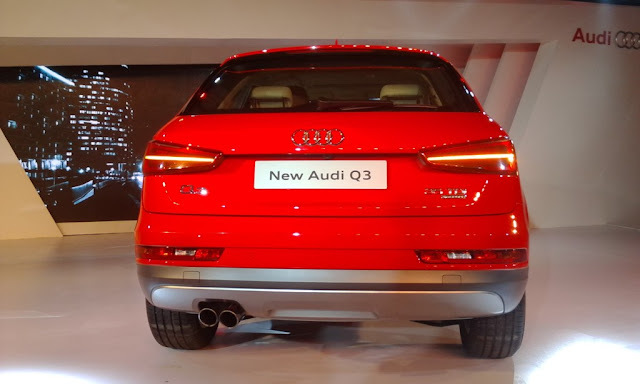 In combination with the high torque engine, the new Audi Q3 provides drivers with good balance of comfortable motoring and sporty dynamics. 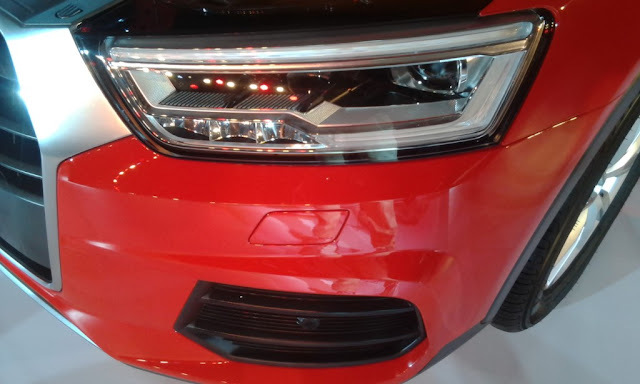 McPherson front axle with lower aluminum wishbones and four- link rear axle with separate spring configuration helps in providing superior ride comfort and promotes a sporty driving style. 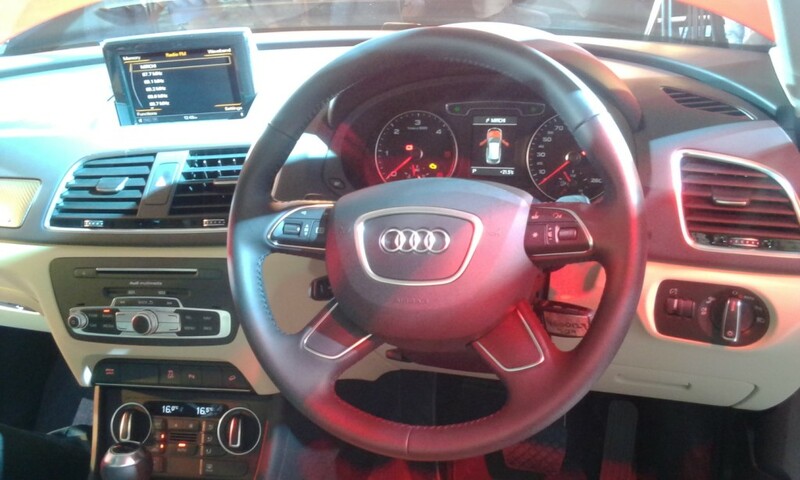 In terms of safety, the mirrors(Interiors and Exterior) has anti glare effects, Traction control (ASR) reduces the spinning of drive wheels hence delivers more traction and stability on road surfaces. 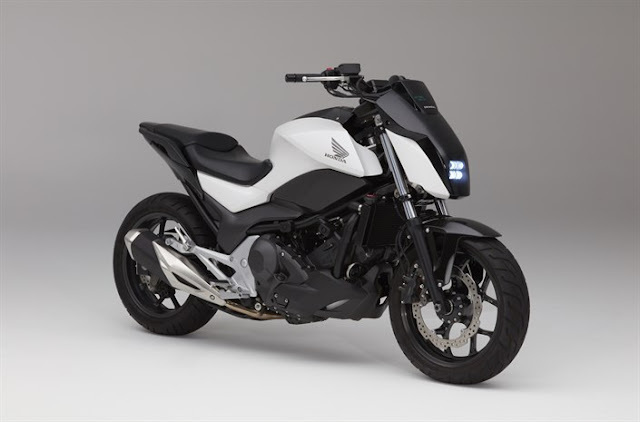 Other safety features includes Anti-lock Braking System, Electronic Differential Lock, Electronic stabilization control, side-on collision protection and 6 air bags.